Currently we live in a world full of technology, which came into our lives to facilitate some work, so much so that many people work from the tranquility of their home. Many times we hire different services offered by different people, either online or personally, and sometimes there is a breach of contracts, people contemplate the idea of going with a jury but that would lead to additional money with which some people do not count, it is also a very tedious, laborious process and sometimes do not give the results we expect. Kleros is a platform that comes to resolve conflicts and breaches of contracts in a fast, fair and economic way. This platform comes to give peace of mind to all users who join this new way of doing business under the protection of smart contracts, that at the time of a conflict for breach of any of the parties could be evaluated by a person trained in various areas to resolve this type of conflict, giving the reason to who is considered to have it. Kleros will save you time and money. Peter is the owner of a small restaurant of Mexican food called: The seasoning of Peter and is thinking of changing the painting because the one he currently has is very old. So he decides to search the internet for a person who performs the service he is requesting in a fast and economical way, since he does not want to waste many days of work. He found Sebastian a man who performs such painting services and summoned him to his store to reach an agreement. They finally agreed that Sebastian would finish the job in a week and that Peter would pay half of the money to start the job and the other half to finish it, so Peter gave him half the money agreed at that time and Sebastian promised to go the next day early to start as soon as possible with work. The next day Peter went early to the restaurant to wait for Sebastian but it was getting noon and he had not arrived so he decided to call him and told him that he had left on an emergency trip and that he was coming back in two days. 1- That leads to an additional expense of money, which does not have. 2- They are very long and tedious processes. So, considering these ideas, he gave his money for lost. 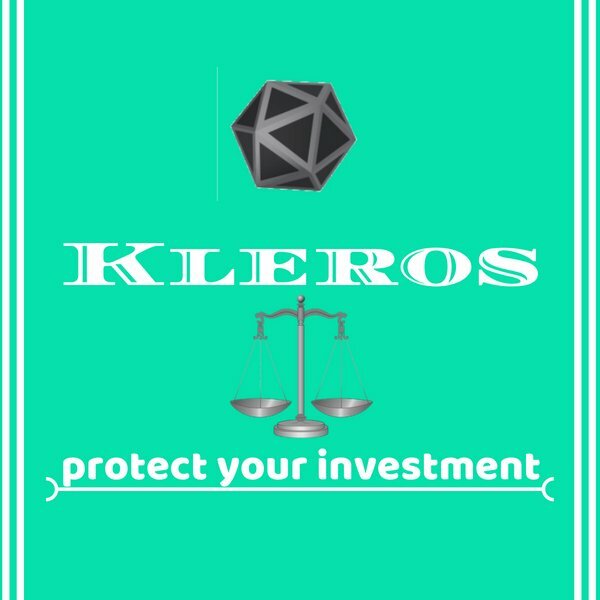 Kleros, as I mentioned earlier, works with smart contracts, After users create their smart contract and have chosen Kleros as their awarding protocol, you can be sure that if a dispute arises that can not be discussed amicably with either party for breach of contract, Kleros will be responsible for assigning a set of juries that will evaluate your case and, depending on this, will give you solutions that will be put to a vote and the solution or the most voted option will be used. Congratulations @nicole27! You received a personal award!